Sage 300 offers a number of tools to help your accounting team keep the books and records in order and reduce year-end audit stress. In this article, we offer some suggestions on how to create efficient processes and leverage Sage 300 to make year-end audits easier. Whether you close the books daily, monthly, quarterly, or just once per year, maintaining up to date auditable financial records is good accounting practice and smart business sense. Regular reconciliation of the bank accounts is critical, but to prove the material accuracy of your financial statements, you should have auditable evidence to support every line item on the balance sheet as well as key revenue and expense accounts. Typically, an auditor will provide a request list for client prepared schedules, otherwise known as a “PBC” (or Prepared by Client) listing. Most standard PBC listings call for bank reconciliations, accounts receivable aging schedules, prepaid assets schedules, inventory listings, fixed asset schedules, accounts payable aging and accrued expenses schedules, other assets and liabilities schedules, equity roll-forward statements, as well as support for the revenue and key expenses, such as cost of goods sold and payroll. Depending on your business and industry, whatever is considered material to the fair and accurate representation of the financial statements should be supported. Preparing this information each year can be overwhelming and divert your team away from important daily responsibilities. One way to avoid this avalanche of work is to setup an internal accounting review structure that mimics the year-end audit and maintains key reconciliations and schedules on an on-going basis. Using a prior PBC listing, or based upon selected key financial statement categories, consider creating standard workpaper library that is maintained monthly or quarterly. Then implement a consistent review process to make sure that the reconciliations and schedules are up to date, accurately recorded and are supported by verifiable evidence. By the time the year-end audit rolls around, you should have the bulk of the auditor requested schedules already in place, leaving you plenty of time to prepare for any other special auditor requests or year-end adjustments. GL Reporting – in this module, the Trial Balance and Transaction Listing reports are generated in Crystal Reports but can be exported to Excel. These two reports are the foundation to any audit, as they provide the ending balances of each general ledger account as reported in the financial statements, and the detail transactions recorded in each general ledger account during the reporting period. The Transaction Listing can be generated for select accounts or groups of accounts to create schedules that support a specific line item on the financial statements, such as other assets or liabilities. In addition, quite often the auditors will want to review any journal entries posted directly to the general ledger – for this, the Posting Journal provides detail. Bank Services – all bank transactions generated in Sage 300 post to the bank account(s) setup in this module. The Bank Transactions Reports menu provides for a number of reports that an auditor would typically ask for, including the Bank Reconciliation, Bank Entries Posting Journal (for non-transactional entries), and the Check / Payments Register. Subsidiary ledger reports – in the Accounts Receivable, Accounts Payable, Fixed Assets, Inventory Control, and Manufacturing modules, there are a host of transaction reports that should reconcile and support the general ledger ending balances. Each closing period, be sure to run the subsidiary ledger reports, reconcile to the corresponding general ledger account and resolve any differences. This practice will save you not only time and headache at the end of the year when the auditors perform their substantive test-work, but it will also reduce auditor effort and therefore control auditor fees. Intelligence Reporting – Sage Business Intelligence (BI) reporting is an Excel-based reporting tool that allows you to leverage a number of free report templates or create your own custom reports. BI has a simple report writing interface that allows you to drag and drop GL account data, including account numbers, beginning, period and ending balances, source and functional currency values, budget set values, and more into Excel. Along with the BI formula wizard and some knowledge of Excel, you can customize your financial statements from start to finish, and even build tables and other schedules that might be used as a reconciliation workpaper or reported in the financial statement footnotes. Sage 300 partners with a number of document management solutions that integrate with Sage 300. Our team of consultants can help determine the best fit based on your business requirements. Document management solutions allow you to attach scanned documents to Sage 300 and seamlessly integrate with other document management systems that you may already be using, such as SharePoint, Google Drive, etc. Aside from supporting an efficient paperless document management process, consider the use-case as it relates to your year-end audit. Auditors will typically request a sample selection of documents that support material general ledger accounts, such as accounts payable or revenues, to substantively test for existence and accuracy. Document management enables you to quickly locate documents that have been stored and attached within Sage 300, print or share them with your auditors using email, SharePoint, or even upload to your auditor’s document sharing portal directly.. Consider providing your external auditor temporary and limited access to Sage 300 so that they can run reports, look up transactions, and access documents directly, thereby saving you time and effort. In the Administrative Services module, open the Users screen and create a new User ID for the auditor or audit team. Next, open the Security Groups screen to create an auditor security group profile that enables inquiry only access to the applicable modules. Finally, in the User Authorizations screen, assign the auditor user ID to the auditor security groups. 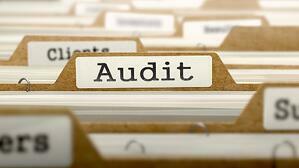 When the audit is complete, simply delete or disable the auditor User ID. 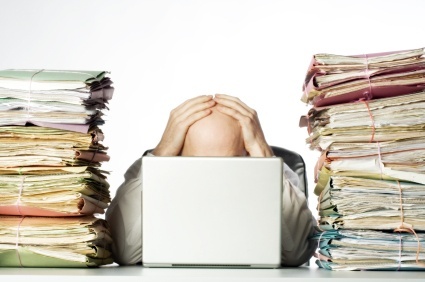 Year-end audit season doesn’t have to create added stress and workload. By regularly reviewing and reconciling your general ledger and leveraging Sage 300’s numerous reports and tools, you and your auditors can make sure the audit goes smoothly and remains within budget. Our consulting and support team consists of senior consultants, of whom many are CPAs and MBAs. With over 10+ years of business experience, our efforts are dedicated to establishing a long-term partnership with our clients that will contribute to the organization’s on-going success. Contact us if you have questions around improving your operations’ efficiencies. Equation Technologies can assist you by providing the following services: Business Process Review, Business Process Enhancement, Business Process Reengineering, Business Process Documentation, and Business Process Recovery. Each of these services can be provided separately or as a cohesive solution.